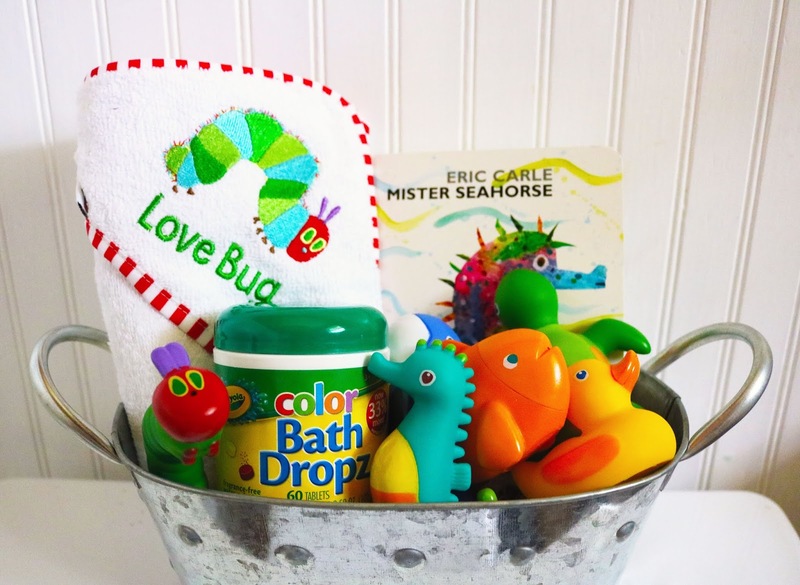 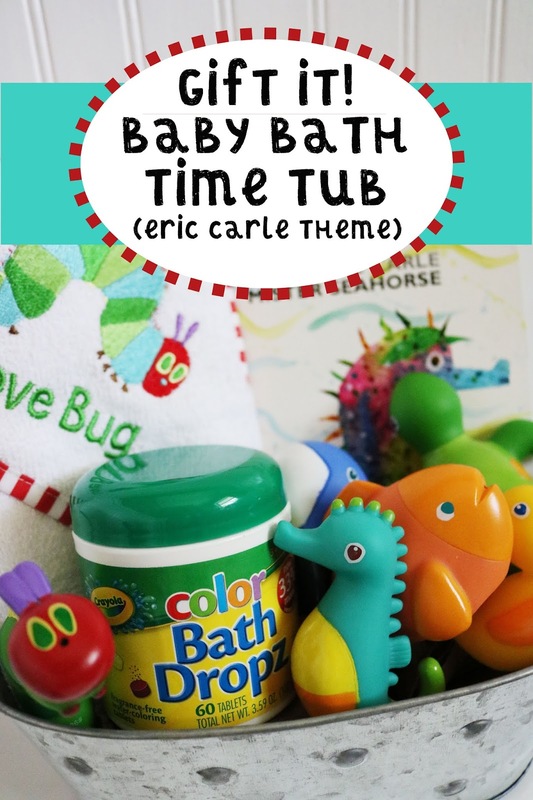 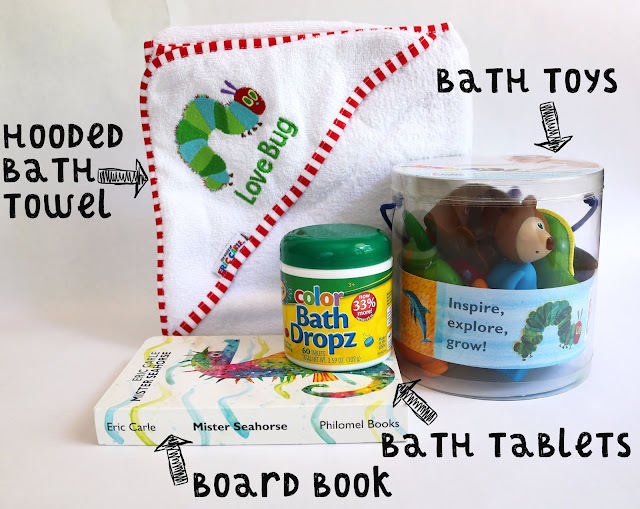 Rub-a-dub-dub it's time for an Eric Carle themed gift that can be enjoyed in the tub! 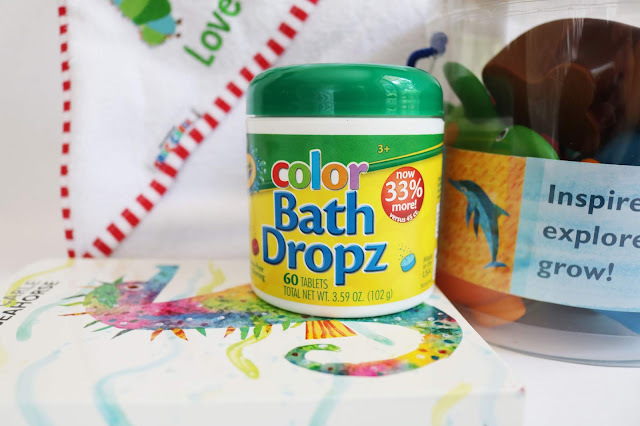 Rather than using regular bath products, like shampoo and bubbles, try something more fun, like these Crayola Bath Dropz--they dye the water different colors. Throw everything in a bath caddy or tin tub for storage purposes, and it's done! The theme that started this basket was the idea that I was going to gift items relating to bathtime and bedtime nightly routines for littles. 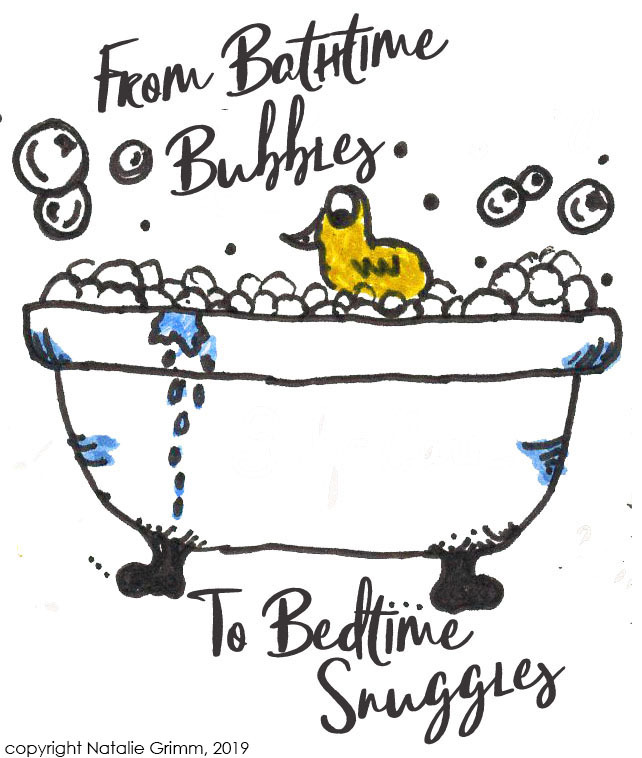 So I came up with the tag first: From bathtime bubbles to bedtime snuggles. 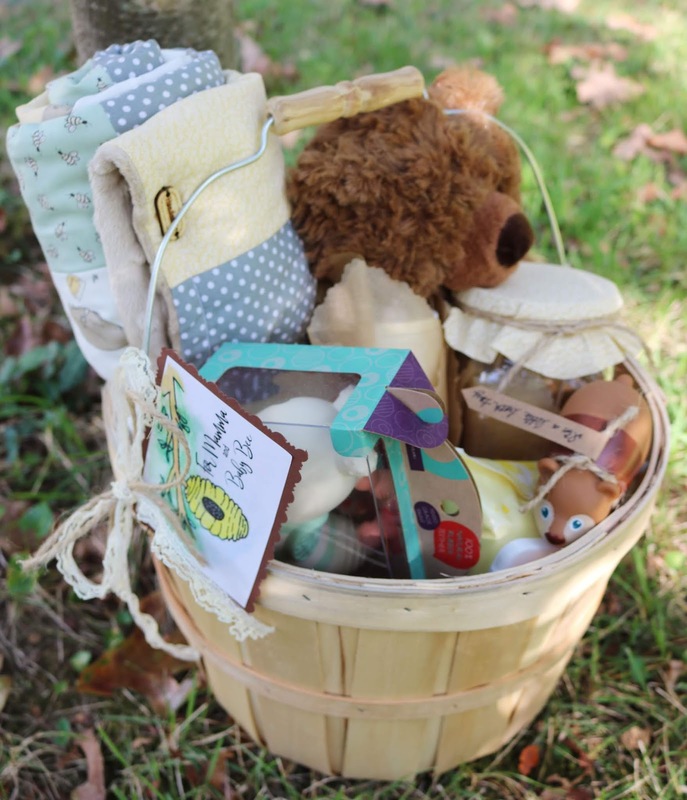 This basket was for a mamma who was expecting twins--so double everything! 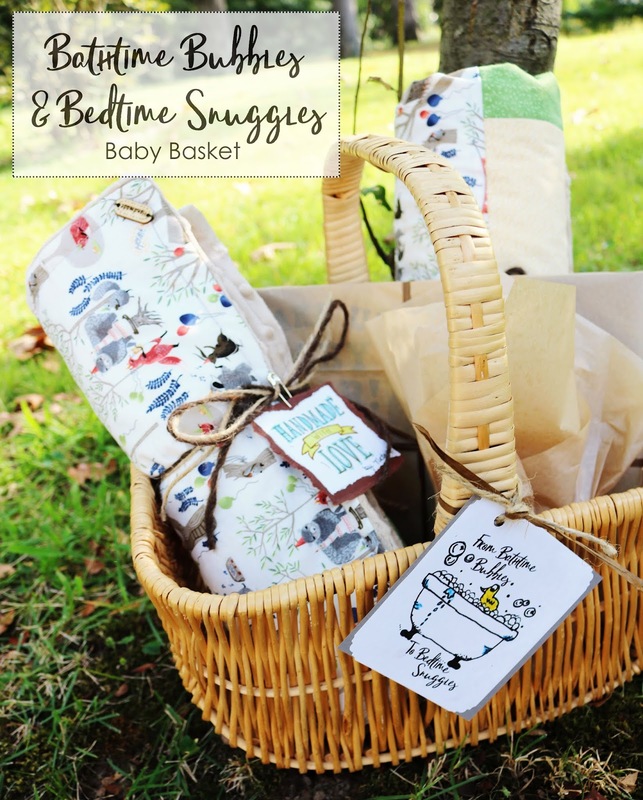 Double quilts, double books, and double the amount of bubble bath. The main fabric used in these quilts is Foxtail Forest Treetop Party by Dear Stella, which I purchased from Mountain Fabric on Etsy--they're a great little fabric store if you're looking for charming prints and great customer service. 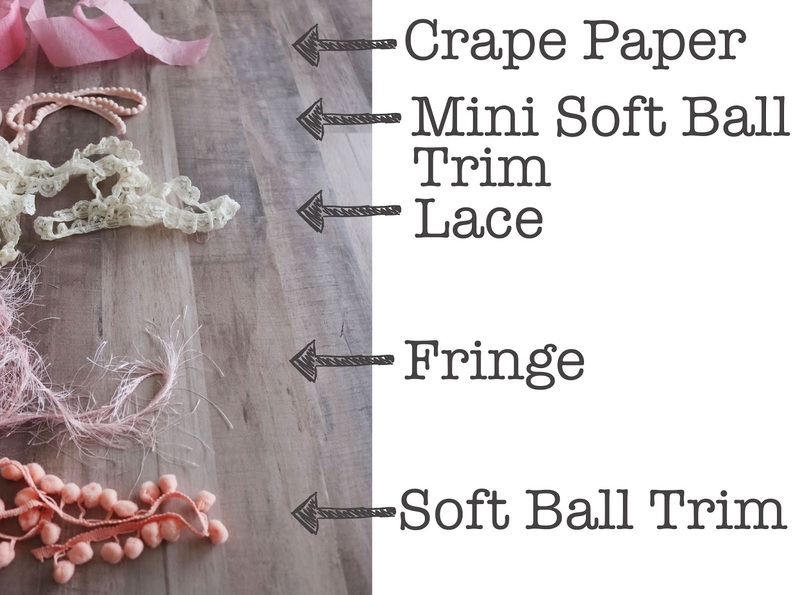 Add a fun tag with ribbon (you can copy and paste the image I created below to make a tag) with ribbon as the finishing touch! 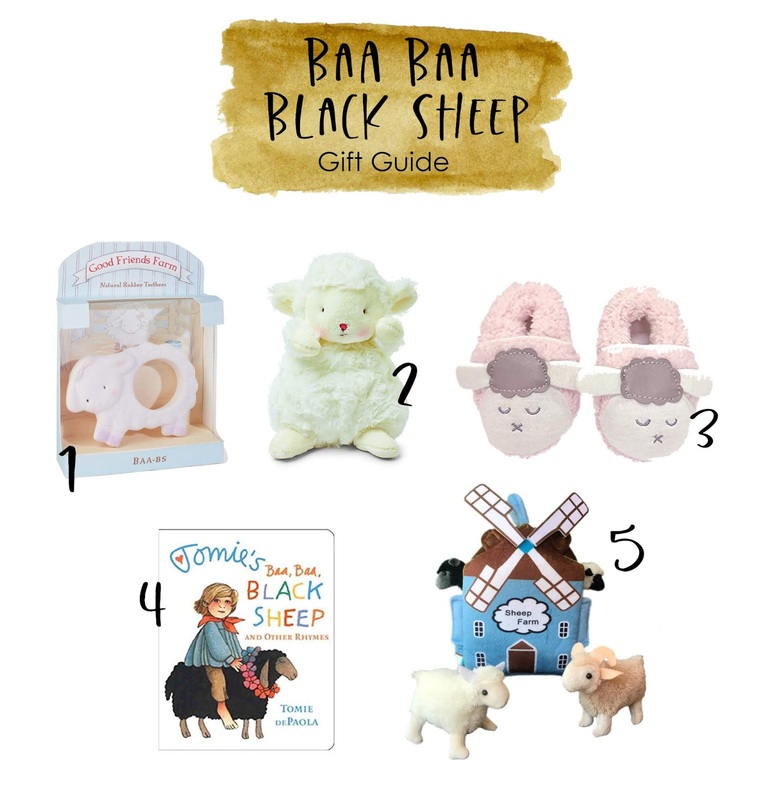 Baa, Baa Black Sheep, have you any wool? 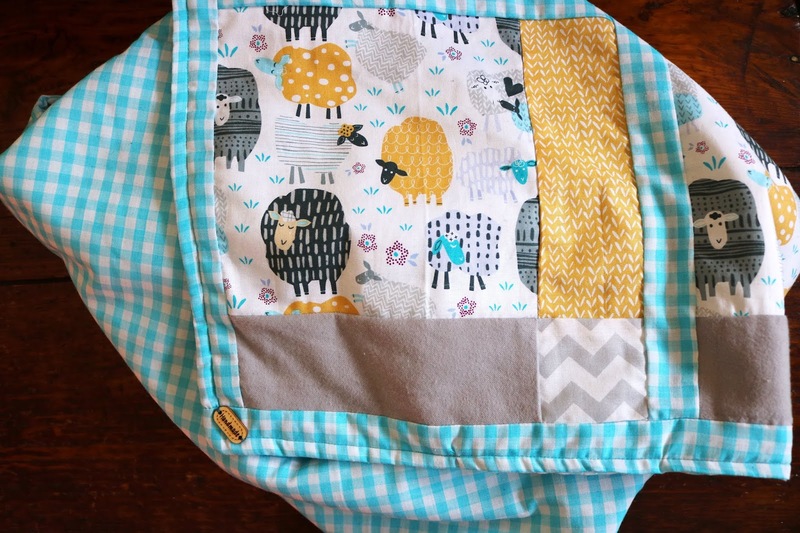 When I saw this fabric inspired by the old nursery school rhyme, I just knew I had to make a baby quilt with it for my best friend, who's expecting. 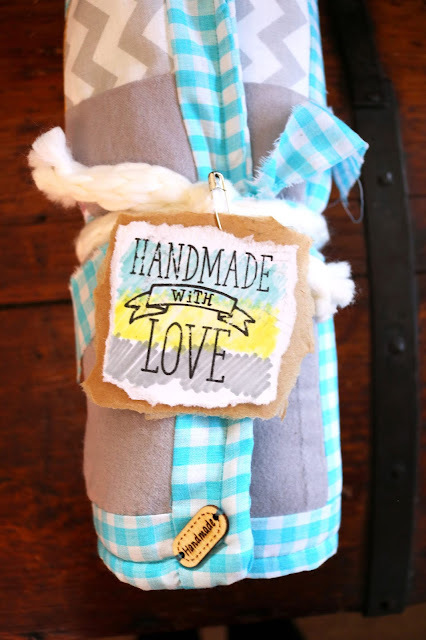 I paired the quilt with a stuffed lamb and baby book and found a bin at dollar tree which I then spray painted teal. 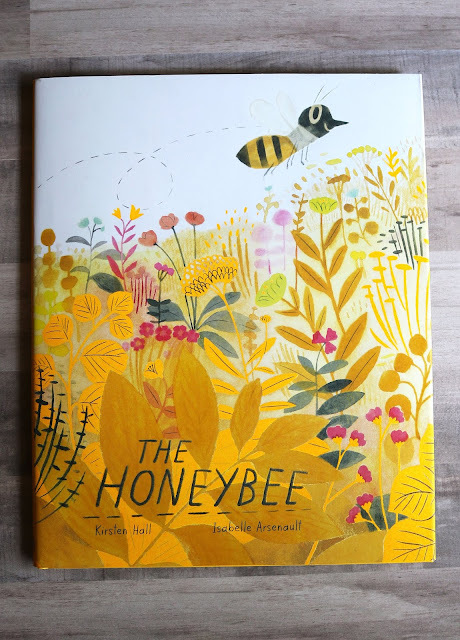 I loved the modern visual print design by Jill McDonald! 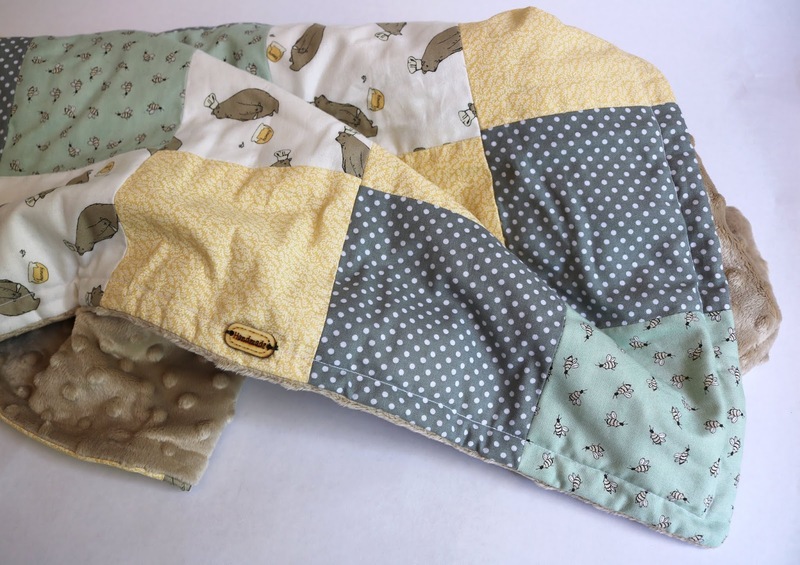 I combined it with the traditional country plaid in bright teal for this quilt. 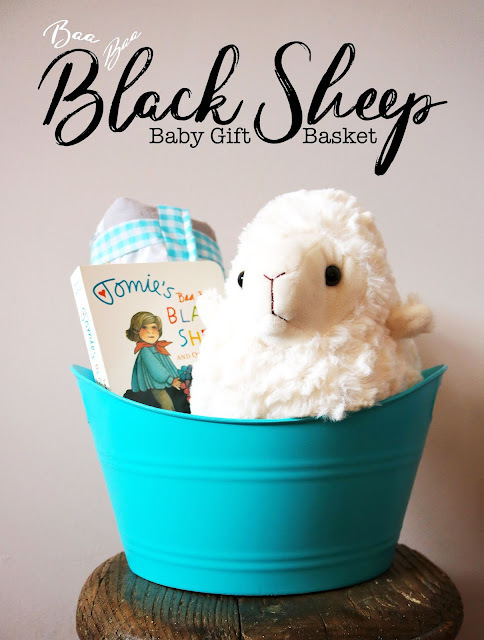 A great board book option to pair with this gift is Baa, Baa, Black Sheep and Other Rhymes by Tomie DePaola. It, of course, contains this classic sheep poem, but it has a few of the other classic nursery rhymes in it as well. 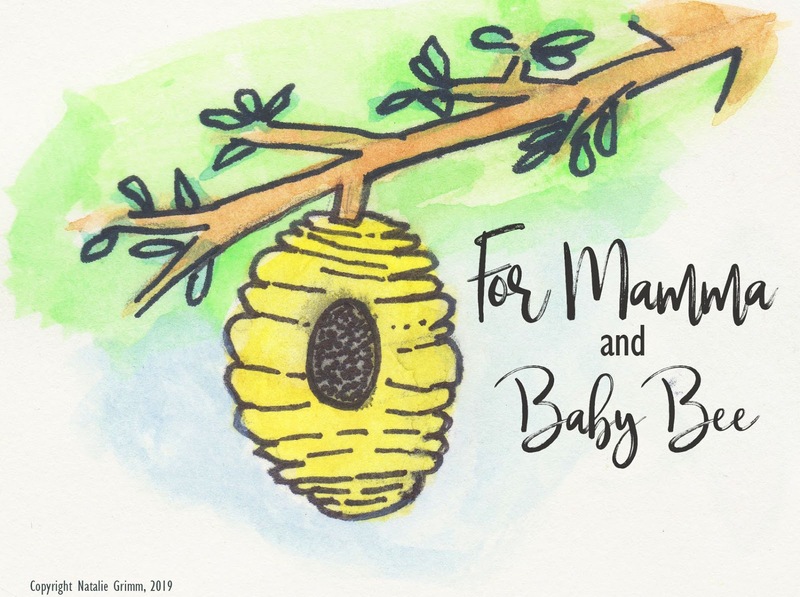 Spring is in the air, and so are many new bundles of joy for mammas to be (or mammas-to-bee)! I had so much fun creating a couple of honey/bumblebee/honey bear themed baskets this past year, and wanted to share how I put them together. 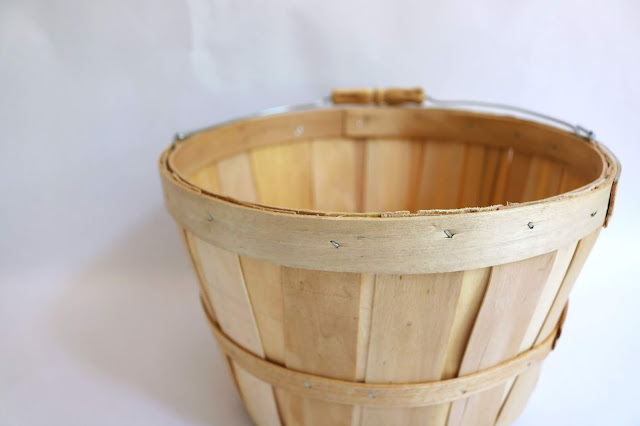 Always start with a great container of some type--for this theme, a wood bucket or basket would be perfect! 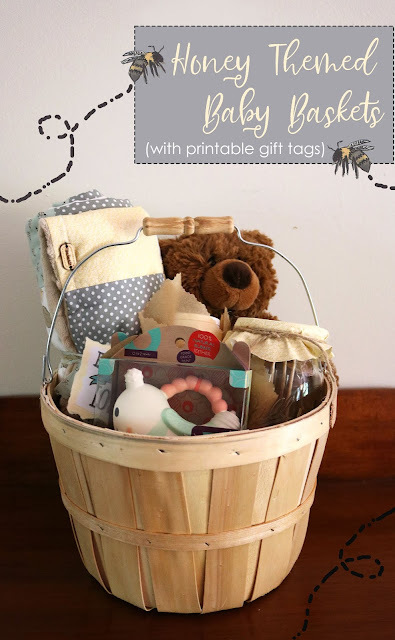 Then comes the fun part--hunting down the gifts to fill your container in keeping with a theme. 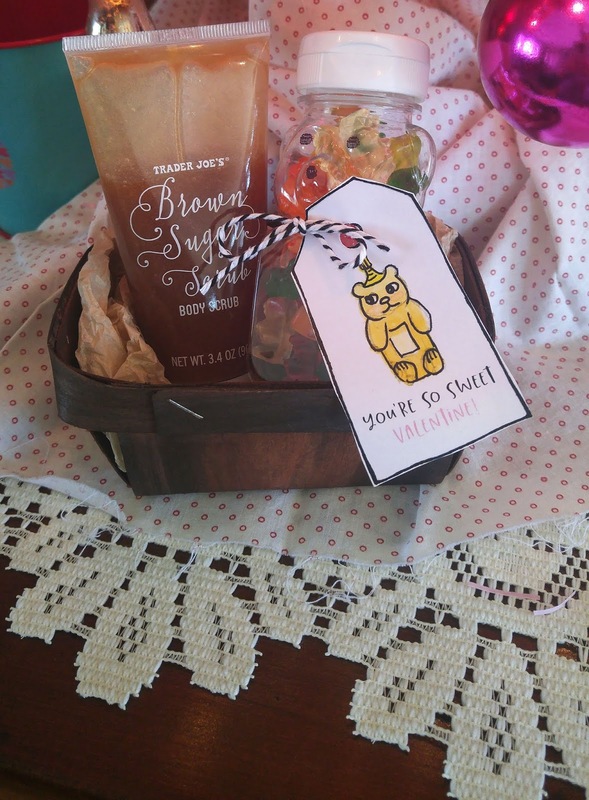 There's a jar of treats and goodies for mom-to-be along with a couple of baby hygiene products. Two stuffed toy options to go with the theme is, of course, a honey bear, or another nice option is this lovely stuffed bumble bee. 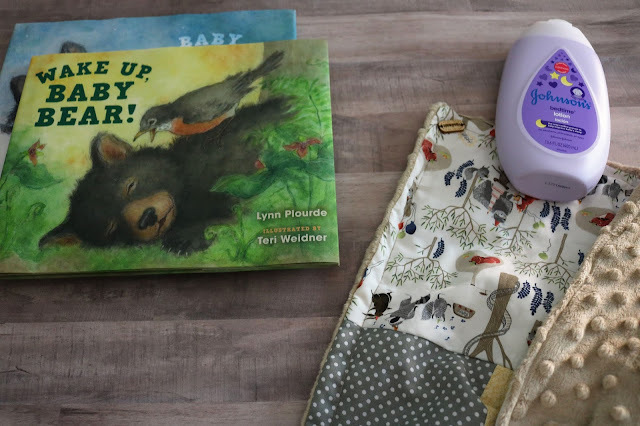 For the handmade gift, there's a quilt stitched with love and then a children's book about honey bees. Finally, I threw in this adorable bumble bee chewie for teething and play. 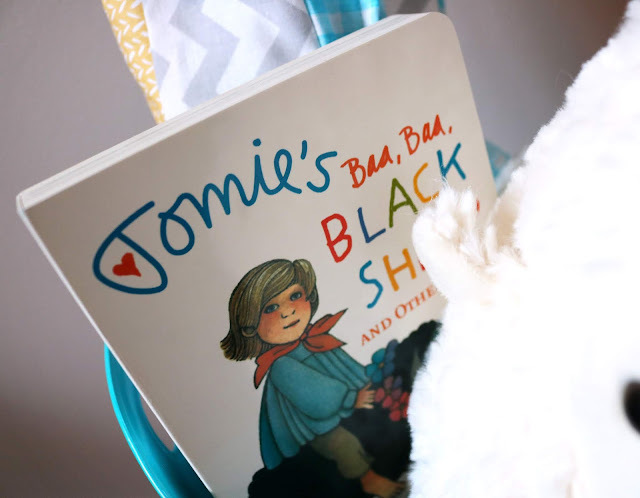 I LOVE giving books to help build children's libraries, so I try to include one in all baby baskets. 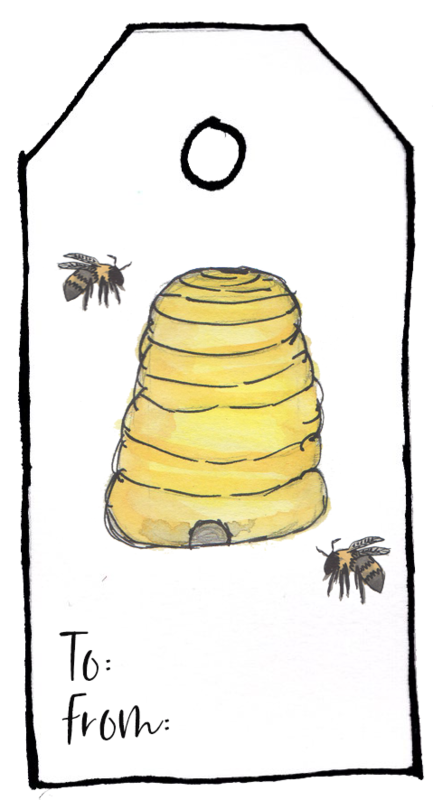 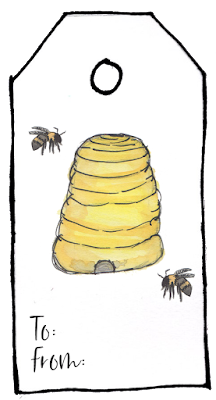 This new story from Kristen Hall called The Honeybee is just absolutely charming in sharing about the importance of bees in gardens with the sweetest illustrations to match with this basket them. One nice addition along with any baby gift, in my opinion, is something for the mom-to-be too. 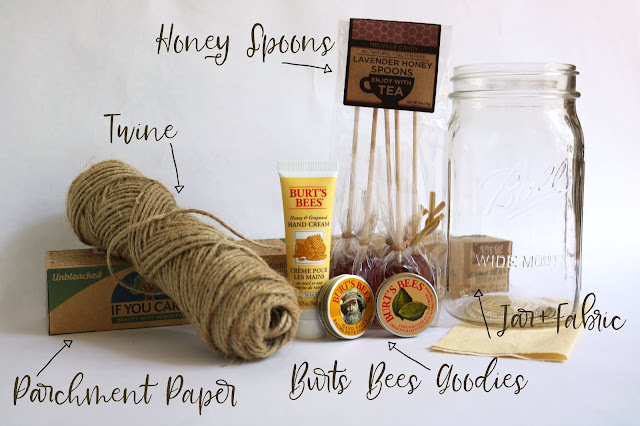 Packaging up some goodies, in this case, Burts Bees products and some honey spoons for tea with our theme separately helps to personalize any baby basket a little bit more. 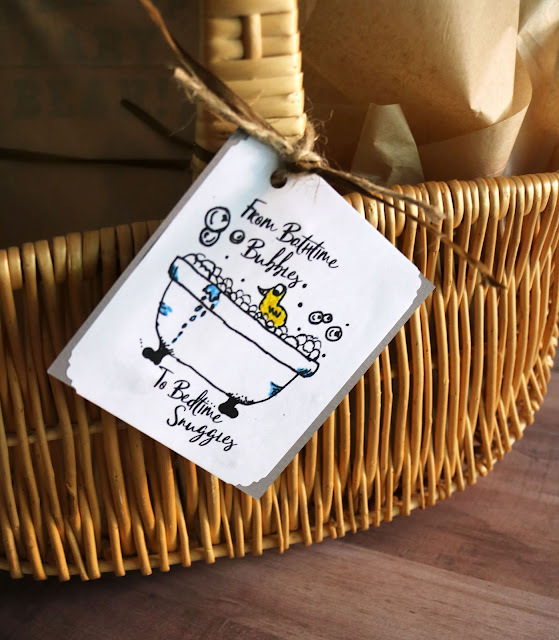 Add a fun tag with ribbon (you can copy and paste the images I created below to make a tag) with ribbon as the finishing touch! 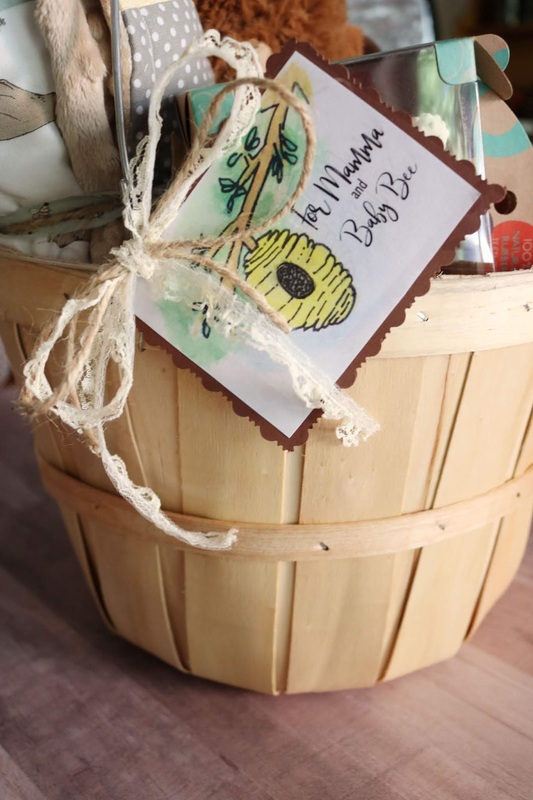 If you have any baby bee related gifts you love to give, share with us below in the comments! Last Minute Honey Bears for Valentines Day! 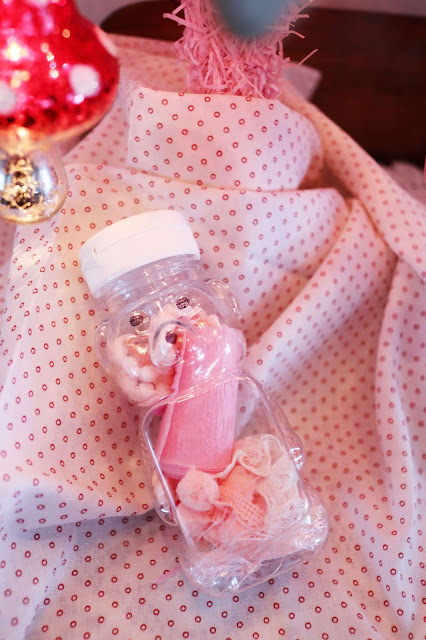 For starters, I found different textiles that acted like ribbon in a traditional Valentine color scheme. 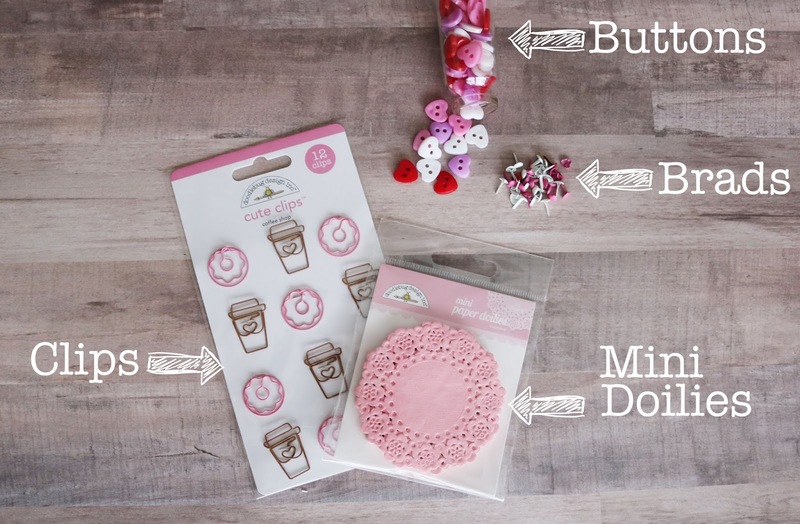 Find little bits and bobs to add in as well such as differently shaped paper clips, mini doilies, heart-shaped brads, and buttons. Add a cute tag with a bow of some kind and your craft-loving friends are sure to enjoy a couple little Valentine goodies in upcoming projects. 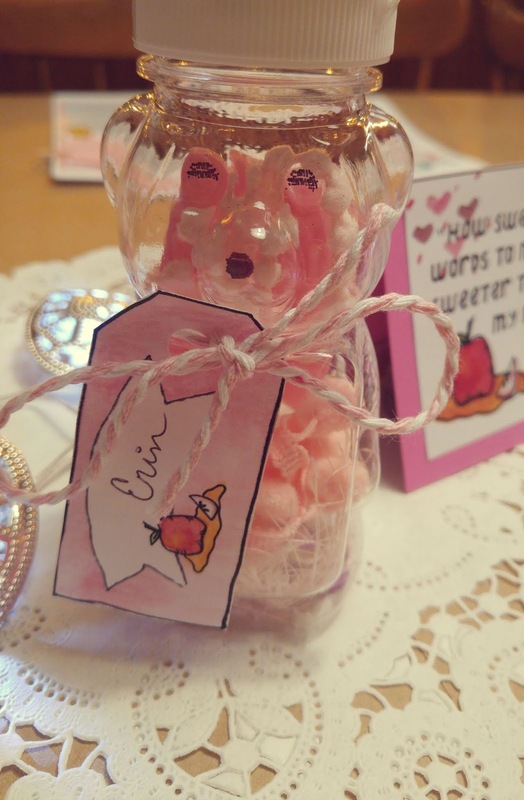 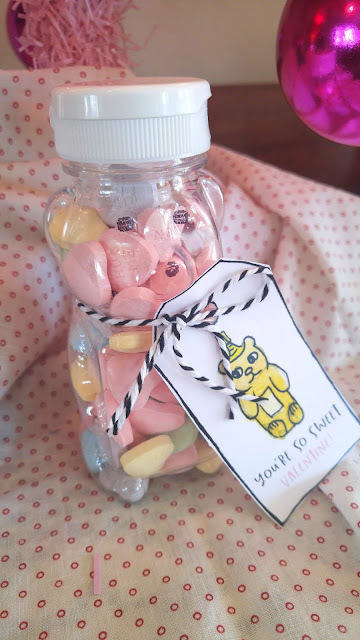 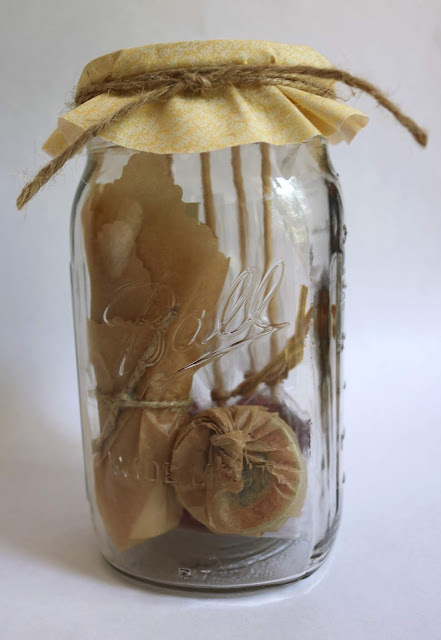 And if there are no crafters to be found, just use these to fill up with your sweetheart's favorite candy or treat!